Over the last year or so, I have really been getting stuck in to the minimalist movement. The mini-what? I hear you cry. Minimalism isn’t the easiest thing to describe but my understanding of it is that basically it’s the concept behind the very simple maxims, ‘less stuff, more meaning. Less things, more experiences.’ It’s about having a life where everything in it, everything about it, is done with purpose and meaning. It’s about rejecting consumerism and not falling into material traps which can keep us from experiencing the real, simple, small pleasures in life. Most people know about minimalism either through the interior design concept or through the popular notions of ‘house decluttering,’ and ridding personal spaces of unwanted items or items which serve no purpose other than cluttering your living space. Books such as Marie Kondo’s ‘The life changing magic of tidying up,’ have been hugely popular and for many, life-changing! However, minimalism goes far beyond possessions and taps into one’s mental state too and how what we possess and what we do with our possessions are very much linked to our mental well-being and our mental wellness. I don’t know about you, but when my office is an absolute state, I am far less productive because I cannot think straight. There is without doubt a connection between our physical space and our possessions and our mental health and productivity, not to even mention our mental ‘possessions.’ But as I said, minimalism goes far beyond the idea of possessions. So what the hell has any of this got to do with weddings? 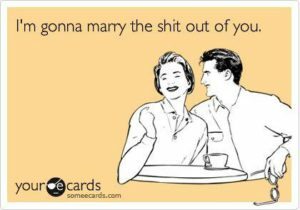 I’m sure this is what you’re thinking, if not actually asking me through the screen right now! Well, now as I get deeper into minimalism in my personal life, I can start to see how it is having a knock on effect on my working life, and my whole way of thinking about weddings. And I realised recently that I’ve actually been advocating the concept of minimalist weddings for as long as I’ve had this blog, but I just never had a word for it before, until now. The good news is, whether you are a follower of minimalism or not, I am pretty certain that you can gain huge benefits from having a minimalist wedding or at the least, taking on board some minimalist elements and ideas. A minimalist approach helps you to focus on what is important on your wedding day. For starters, because it’s easier, let me just say what a minimalist wedding is not. Minimalist weddings are not about the dress. It’s about both of you feeling good from the inside out. Minalismist weddings are not about the venue. It’s about the two of you creating a space for your loved ones to share your love. Minimalist weddings aren’t about what other people think they should be about. They’re about the values you hold dear and how you want to celebrate them. Minimalist weddings aren’t about impressing your guests. They’re about surrounding them with your love and warmth and vice versa. Minimalist weddings aren’t about looks, they’re about feelings. Minimalist weddings aren’t about accumulating stuff, they’re about creating experiences. Minimalist weddings aren’t about getting the aesthetics right, they’re about the personal dynamics and making sure that all aspects of your wedding work together nicely and create something magical. A minimalist wedding is not as stark sounding as its title suggests, on the contrary. Nothing about minimalist weddings has to be boring, drab or dull. I’m not suggesting that you make your wedding void of any fun, style or decoration, or that you cut back so much that you don’t even feed your guests! No, that’s definitely not what a minimalist wedding is about. 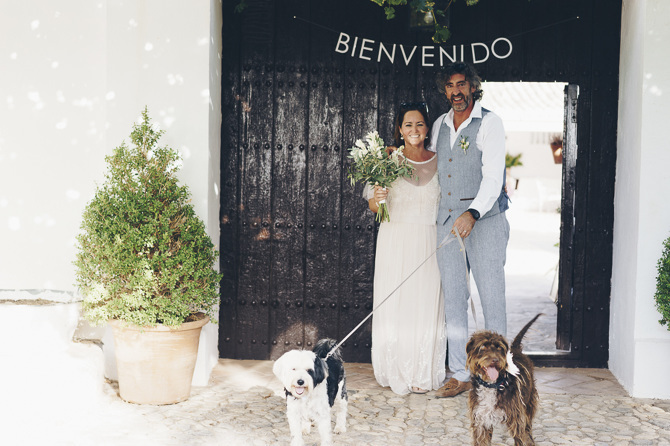 A minimalist wedding is a wedding which has been stripped back and doesn’t stray massively from its most natural purpose – the basic premise that two people in love, create a personal space to celebrate their commitment, with their family and friends. And it’s about using this purpose as a compass point, a starting point to guide you on your journey to marriage and to give you a line of reference, which means you always keep your eye on this end point. A minimalist wedding is free of overly consumerist elements, where couples buy into the idea of having things that they don’t want, don’t need, can’t afford, or don’t even like, just for the sake of it. A minimalist wedding is where couples’ investments are more emotional than financial. More personal, than generic. Minimalist-thinking couples have a celebration which has been approached with a stripped back mentality. Where each person has thought about all the elements that they want and has really understood why they want them. Minimalist couples go through their wedding with a fine tooth comb and agree to have only the stuff which is important, meaningful, purposeful and a honest representation of how they feel. Many minimalist couples may even think about the wider impact of their wedding celebrations and how it might affect the environment around them. Let’s be clear that the overriding aim of stripping back your wedding is not a financial one. It’s not about scaling back to save money, it’s about scaling back to enjoy mental harmony. Scaling back to let your wedding day be the celebration that you feel it should truly be, – no fuss, no gimmicks, just pure unadulterated joy and love. However, it’s highly likely that in the process of stripping back your wedding, you will invariably save yourself money because you will start to think about things in different ways and you’ll start to weigh up the importance and the purpose of certain aspects of your wedding day. Stripping back your wedding means approaching it with a certain mindset, asking yourself certain questions which will steer you onto the path where you feel most comfortable, the path that you’d prefer not to stray from. Having a good understanding and appreciation for minimalism can help you to have a more enjoyable wedding process and wedding day itself. It can help you identify what is important for your wedding day and to be clear about what you want and why you want it. It can help you to mentally clear away wedding clutter (unnecessary things/elements/traditions) which might mean little to you but might overshadow your day. It can help to shield you from unwanted wedding-consumer pressure. It can give you confidence in your choices, knowing that you decisions are being made free of any baggage, societal or family pressures. Couples might find themselves being happier with their wedding choices because they make them consciously, considerately, honestly and from the heart. – And really importantly, it can help you to avoid going into debt. No wedding should cause debt. When it comes to your wedding planning process, and you need to make important decisions, ask yourself these questions to help you decide if such elements have a place in your wedding. Have your love bunny do this too and see if you’re both on the same page. What’s its purpose? How will it make your wedding day better? How will it contribute to your happiness? Can you do with out it? Is there a better alternative to it? Is having it going to put you in debt? How would including this on your day make you feel? How would not including it make you feel? If a physical element, what will happen to it after the wedding day? The honest answers to these questions, really can provide you with the clarity needed to have a wedding which is heavy with meaning and light on fluff. Here’s another top tip, at the start of your wedding process, write down on a piece of paper all the feelings that you want to feel on your wedding day. Then, working backwards, figure out what are the key things that need to happen for those feelings to be felt. And ask the same for your love bunny. How would he or she like to feel, what are the key things which will achieve this? And lastly but not as importantly, write down how you would like your guests to feel and what is needed for that to happen. I think you might be surprised by the very basic things needed to create these extraordinary moments. Is a minimalist wedding for you? Minimalism helps you to shut out the noise. It helps you to focus on what is important for your mental and spiritual well-being. It hardens you to the new shiny objects that come along to distract you, those things that make you temporarily feel happy and satisfied, but do not serve your long term goals for happiness and wholeness. It helps to rid you of the mental and physical clutter, those things we feel we need to cling on to, but aren’t really sure why or how to let go of them. All of what I have just outlined here, could easily be applied to your wedding process too. A minimalist wedding approach isn’t for everyone. Maybe you’ve embraced this approach already, but whether you embrace the full minimalist wedding ideology or take bits and pieces from it, there definitely is something here that can help those of you with the desire for a focused, stress-free, love-filled, heart-centric wedding celebration, to have one! Let me know below what you think about the idea of a minimalist wedding. Can you see elements of this approach working for you? With special thanks to the awesome Colette (A Simple Sunshine Life) and Richard, whose approach to their wedding, their thoughts and sentiments really touched and inspired me, as a wedding celebrant and a blogger, and really inspired my vision for promoting the idea of minimalist weddings. Thank you.